Who doesn't love a takeaway? As unhealthy as they are, takeaway food is comforting and convenient. But for too long now, have we eaten our takeaways in front of the television set on a Saturday night. Now is the time to take our takeaway out. Just like beer and curry or fish & chips, Ant & Dec, the double duo from Newcastle, are another inseparable weekend comfort. They've entertained us in the Australian outback, supported Britain's talented performers, and given us a variety show full of comedy and stunts. They are the faces on many a TV screen on Saturday night. 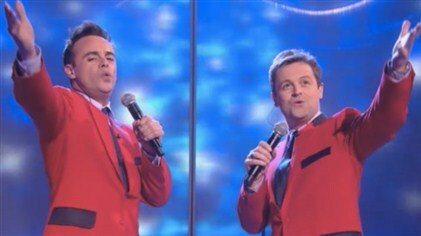 That's right; Ant & Dec's Saturday Night Takeaway is going on a live tour. It will be packed with special guests, variety acts, crazy pranks, mind-boggling challenges, and prizes to be won. All the fun of a night in, only out on the town. From the 6th August - 12th September 2014, they will be travelling the UK to some of the biggest cities. They'll start of in Cardiff, travel to Birmingham, then onto Leeds, Manchester, Nottingham, Belfast, Glasgow, Sheffield, Newcastle, and finally London. Tickets are between £27.50 - £52.50 depending on which show you go to. Although it may seem like a long way away, the sooner you book, the better tickets you'll get.